Edwina Currie is a Writer, Broadcaster, Former MP and After-Dinner Speaker. Born in Liverpool, Edwina read Chemistry at Oxford University and then switched to Philosophy, Politics and Economics. She took her Master’s degree in economic history at the London School of Economics, an experience which turned her into a life-long Conservative. After a decade of public office in the city of Birmingham, she stood for Parliament in 1983 and represented a Midlands seat for 14 years. She became one of the nation’s best-known MPs and served in Margaret Thatcher’s government 1986-88, in the Department of Health. 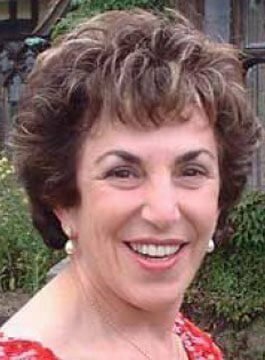 Edwina Currie became famous for her campaigns on heart disease, women’s cancer screening and the promotion of healthy lifestyles. Her greatest achievement was bringing in nationwide screening systems for breast cancer and for cervical cancer, with associated treatment services, all free of charge on the National Health Service, making Britain the first in the world to have both. She was also involved in the first AIDS campaign in the UK that saved many lives. She eventually resigned over food safety (salmonella) in December 1988. Mrs Thatcher’s successor as Prime Minister, John Major, invited Edwina to rejoin the government in 1992 as a Minister of State, but she declined and thereafter worked from the backbenches. After 22 years of elected public service, Edwina lost her seat in the 1997 General Election. Edwina has published eleven books. She started with non-fiction, then turned to novels which were instant best-sellers in the UK. She has authored many articles, short stories and book reviews in the national press, magazines and online. After losing her seat, Edwina was promptly offered a job by the BBC. For five years she had her own very successful radio programme, Late Night Currie, with live phone-ins and reportage on topical issues. Edwina is a frequent contributor to news and current affairs programmes including Sky News, Newsnight and Question Time. An award-winning after-dinner speaker, Edwina entertains audiences with anecdotes from the power struggles of Westminster and No.10 through to her time on Strictly Come Dancing.